The GA of ViPR 2.0 was announced in time for EMC World. While there are significant announcements in ViPR 2.0, I will focus on the pieces that benefit VPLEX and RecoverPoint in this new integration. A quick recap of what was supported prior to the 2.0 release is available here. In the 2.0 release, ViPR now supports full life cycle management of Snaps and Clones on arrays behind VPLEX. This allows customers to get a single pane of glass management function for snaps and clones. This seamless experience makes it easy for customers to take advantage of the performance and scale of these capabilities on underlying arrays and not compromise on the ease of use needed to make this capability work. Here is a demo of this capability. One of the big additions with the ViPR 2.0 release was common management for RecoverPoint within the VPLEX context. This allows RecoverPoint protection for VPLEX volumes to be accomplished through the same user interface. Combined with the end-to-end VPLEX provisioning through ViPR, you can now accomplish complete VPLEX provisioning with RecoverPoint. Please note that ViPR 2.0 does not support the MetroPoint topology. This is targeted for future releases. Since ViPR 1.0, the provisioning for VPLEX has been updated. Here is a demo of the updated provisioning workflow. This will be our first year EMC World as a part of the new DPAD organization. Tons of excitement on that front. As we worked through the planning for EMC World, one of the big positives was the level of intersection that VPLEX and Recoverpoint have with other parts of EMC and the level of collaboration between all these teams to enable spreading that message. To all these teams, a BIG THANK YOU! This will result in VPLEX and RecoverPoint products having a really good presence on the show floor. As always the sessions will be chock full of technical and strategy insights. A key part of the messages will be around the launches that we did for RecoverPoint and VPLEX in early April. However, beyond the new capabilities, there will also be sessions for the practitioners as well as customer insights. In fact, one of the key themes for us this year is customers who are presenting at the various sessions with us. So without further ado, here is the list of VPLEX and RecoverPoint sessions at EMC World this year. VPLEX: Introducing the VPLEX Virtual Edition: Presented by Cody Garvin who led the product management effort for VPLEX Virtual Edition. Cody will cover the basics of VPLEX/VE, why we built it the way we have, the use-cases we are targeting it for and deployment topologies that it will work with. 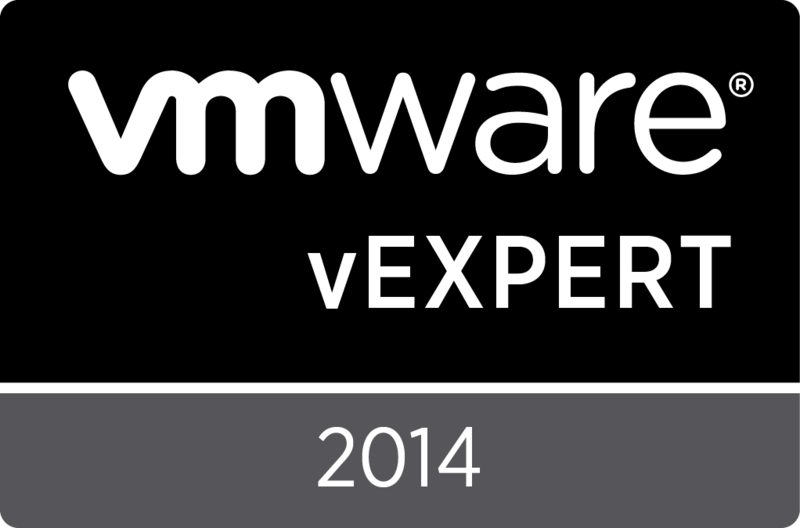 VPLEX: VPLEX Virtual Edition Architecture and use cases for 2014: Presented by super-CSE Don Kirouac (@dk_defined). Don will cover the gory depths of the VPLEX Virtual Edition to help you understand the architecture as well as what use-cases will work and how they will work out of the gate. VPLEX: New VPLEX Provisioning Options with ViPR and Unisphere: Steve Breault and Peter Lund both product managers on the VPLEX team will present the fabulous integration work that has been done between the ViPR and the VPLEX team. They cover in-depth the pieces discussed in my prior blog post (here). In addition, there are new capabilities being added to ViPR to support VPLEX and RecoverPoint. Additionally, they will also discuss the work we have done with VPLEX Integrated Array Services (VIAS) discussed here. VPLEX: Advanced Configuration and Design – Performance, Design, Failure Modes and More: The very cool Jen Aspesi (@routr_grl) presents this session. This was a big draw last year. Jen is amping it up with new learnings from the year, recommendations for new configurations. I have a feeling that this session will be oversubscribed once again. VPLEX: Continuous Availability For All Business-Critical Applications: Robert Wagner presents this session. Here his focus is on the application layer and how they can be configured / structured to support continuous availability. If you think applications and VPLEX, this session is for you. VPLEX: The Future of Availability powered by New VPLEX Use-cases: I have the privilege of presenting this session. This is an overview session which will talk about all the things that we have announced in 2014. It is a breadth first session which covers all the areas first and then each of the sessions above go into greater depth. Introducing MetroPoint: Combining The Best Of VPLEX Metro And RecoverPoint Capabilities: This is an _awesome_ session presented by Saar Cohen, Chief Architect of RecoverPoint and Idan Kentor, one of our RecoverPoint focused CSE team members. I have seen Saar and Idan present this session in practice sessions. The content is top-notch and they cover the nitty-gritty of MetroPoint exceptionally well. You get the technical depth as well as the practical knowledge to realize your three site HA/DR dreams! RecoverPoint Overview: Top Reasons Why Users Love It: Yossi Saad leads the Business Development team for VPLEX and RecoverPoint. He will cover the very well-known aspects as well as the not so well-known aspects of why RecoverPoint is the compelling solution that it is. RecoverPoint: Accelerated Recovery for Virtual Environments: Yair Cohen presents this session that goes into depths of how RecoverPoint can protect and recover from virtualized environments. This shows all the work that we are doing to integrate with VMware and how those environments can be tuned / modified to make the experience seamless. RecoverPoint: Data protection for cost sensitive environments: Boaz Michaely presents this session to help customers and potential customers understand how they can derive even more value from RecoverPoint – this will talk about all the choices we have to drive down cost – data compression, WAN optimization, virtual RecoverPoint appliance. VNX with VPLEX: Making Continous Operations seamless: I am presenting this VNX focused session which will cover all the goodness of VNX with VPLEX. In addition, it also covers the new items that we have introduced for integrations between VPLEX and VNX. EMC ViPR: Explore the New ViPR Control Services. From Backup to Availability: Explore the Data Protection Continuum. PowerPath Advanced Multipathing: What’s New in 2014. VCE Vblock Data Protection and Mobility: Converge to Save Your Job. Buckle Up! A 15-demo & Technical Tour of What’s New & What’s NEXT in Data Protection and Availability. How Can ControlCenter & ProSphere Customers Make the Move to Storage Resource Management Suite. To all our internal partners: a BIG THANK YOU for making these possible and helping make RecoverPoint and VPLEX strategic to your ecosystem. And there are show floor displays, booth presentations and theatre presentations in the DPAD theatre as well as in partner theatres. Last but not the least, if you are one of the 100+ customers with NDA conversations set up, we are looking forward to meeting you as well. We are sending engineers, corporate systems engineers, architects and product managers to EMC World to help you get the best in terms of technical knowledge to help you understand the product, its directions and what capabilities we have added to it over the last year. I cannot wait for the show to kick off! 1. Transforming Disaster Recovery With Continuous Availability: Delivered by Gordon MacArthur and David Edborg from our Assured Availability Services, this is a practitioner’s view into how Continuous Availability delivers business value. Link to slides. Link to brainshark recording. 2. VPLEX: Advanced Technology Deep Dive For VMware HA and FT over Distance: Delivered by the always entertaining Olly Shorey. (@shorestor), this talks about my favorite topic. Link to slides. Link to brainshark recording. 1. Transform Enterprise Storage to Create Business Value: Delivered by Brian Gallagher, President of the Enterprise Storage Division. Extremely creative way to talk about VPLEX! 2. Flash Unleashed with VNX Innovations: Delivered by Rich Napolitano, President of the Unified Storage Division. The Peek into the Future section was extremely insightful and shows the power of Multi-Core. The annual journey to the Venetian is but a day away with EMC World kicking off on Monday. Are YOU planning on being there? I have the privilege of presenting the VNX with VPLEX: Delivering Continuous Operations session at this year’s EMC World. The session runs twice – once on Tuesday at 5:30 PM PT and on Wednesday at 2:30 PM PT. Should be a fun session – here is hoping you can join us! I also have the pleasure of presenting on two topics at the VMware booth (short 10 – 15 mins booth presentations) – one at 8:00 PM PT on Monday and another on Wednesday at 12 noon. If you are in the Solutions Exchange area at those times, please stop by and say hi. Apart from this, there are a ton of VPLEX, RecoverPoint and VMAX sessions on-going. Please see the full list here. Apart from this, there are kiosks on the Solutions Exchange floor manned by engineers to help you understand what VPLEX does and answer any questions you may have. We are also available to answer any questions you have via a forum on the EMC Community Network (ECN). Please post questions here. We would love to hear from you!